Every so often, I like to spend an hour or so at my local Barnes and Nobles or Borders bookstore. I can be seen enjoying a mocha or caramel Frappucino while typing away at my laptop. As I came inside one fine afternoon, I saw some papers flying around on the sidewalk just in front of the bookstore. I looked to the right and there’s a trash can overflowing with trash. The tiniest bit of wind was blowing the trash off of the top and onto the sidewalk. Two other customers on their way inside noticed the trash and were not all that thrilled with trash blowing around them while they entered the store. Yes, I understand “THE COMPLEX” is responsible for taking care of the trash just outside of the bookstore. I get that. But when two staff tell me (both fairly assertively) that it’s NOT their problem that trash is blowing around right at the entrance to their establishment, they are essentially telling me that it’s not their problem if customers are presented with an immediately negative experience just as they enter the bookstore. If you’re thinking that this incident wouldn’t even have made it into Customer Service 101, you’re right. This is just simple common sense. 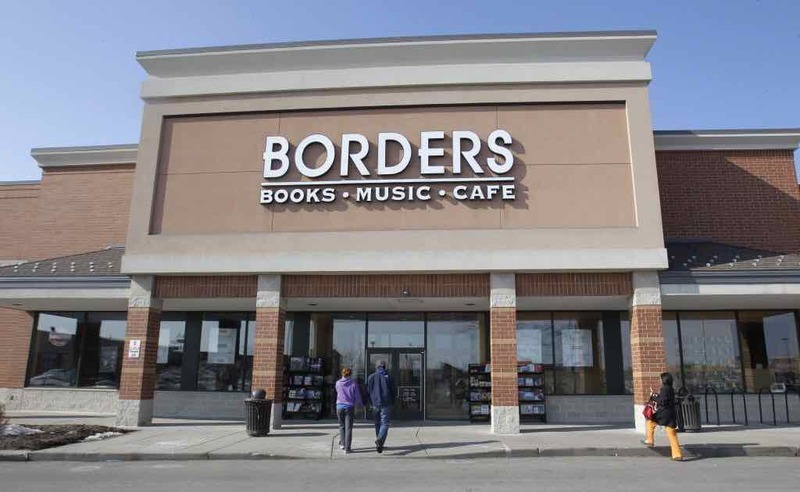 People have two choices in this town: Barnes and Nobles and Borders. They are very similar bookstore, with slightly different “rewards” programs and different brands of coffee in their cafes. With all things pretty equal, some people just may not like to have trash flying around on their way into a store. To be completely fair, one of the staff did also say: “I guess I could go out there and pick up the trash.” So, I went back and checked. The trash can was still overflowing. Okay, here’s the bottom line on this: If this was a store with the owner on the premises, and I had made it known to the owner that trash was flying around the entrance to his store, he very well might’ve beem upset that “THE COMPLEX” wasn’t doing their job, but he also would’ve said to me: “Thanks for letting me know. I’ll take care of it.” And he most likely would’ve taken care of it in five minutes or less. The difference? One response displays a missing “care factor” and the other response includes that quality of caring what people are experiencing, REGARDLESS OF WHOSE RESPONSIBILITY IT IS. HOW the business is perceived and doing whatever can be done to improve the customer’s experience IS the responsibility of every employee. When that level of care is present throughout a business, all kinds of good things happen. I’ve heard of people who make very fast hiring decisions. They’ll take a quick look at the résumé and, after a 20-minute interview, they feel they’re ready to make a gut decision. Some folks look exclusively at the résumé and make a hiring decision based solely on what they find there. They’d prefer not to interview the person. Maybe they don’t want their judgement to be “tainted” by something the person says or does. They just want to hire the person with that résumé to start work immediately. Of course the importance of the position and the skills required are factors here. But all in all, I see the hiring process as pieces of a pie. Each piece can help you make a better decision. There are two other search engines you could also use: Yahoo and Bing. Put the person’s name in quotes inside of the search box. For example: “Michael Smith” If you do not use the quotes you’ll get results that include Michael and Smith in the pages that come back. Pages that include Michael Jones and Alice Smith are considered valid results pages if the quotation marks are not used. “Michael Smith” is a very common name and there are billions of web pages out there, so you want to narrow your search even more. In the search box, put the person’s name (in quotes) then type in the name of their town. For example:”Michael Smith”,”Springfield, CO” — notice the comma between the two. Try where they went to college. If you know of any groups or clubs they mentioned on their résumé, give those a try. These steps should help you narrow the search so that the information you’re getting back IS about the person you’re considering. Your interest of course is to learn more about your candidate before you hire him. One important note: Do NOT believe everything you see online. If you find something of concern, ask the person about it. Your search may have located a totally different person or there may be a perfectly legitimate explanation to what you found. Always give the benefit of the doubt here, as the online world can be quite wild and facts too often take a back seat to entertainment. Do you have a clear statement of the purpose of each position in your company? If not, take a bit of time and put this together. The specific duties of each staff member are well understood by each individual. Each individual knows how to accomplish the purpose of their specific post. All of the positions I supervise are functioning at a high level. Communication is moving freely and smoothly between the staff and our public and amongst the staff. The business is profitable and viable due to my actions above. Now that’s a rough draft of the purpose and functions of an Office Manager, and you could certainly provide a more detailed statement. So how could this be used as a hiring tip? While interviewing your new applicant, give them a copy of this and ask them to read it over. How do you see yourself aligning with the purpose of this position? How would you improve on this purpose? Some applicant will give you rote answers here: “Well, I certainly would…” and they’ll essentially repeat back to you what’s on the paper. But some applicants will seem to have a really good understanding of what’s needed and wanted for the position, and you’ll get a sense they can be operating effectively without much delay. Either way, this segment of the interview should provide you with insight into how they will perform. To increase performance these days, some companies send their staff to motivational seminars. These seminars can get good results, but if they are mainly “motivational,” we often see the effects wear off in days or weeks. Some companies put their staff through training programs to help them handle the details of their post and to relate better to their customers. These can also be quite beneficial. And some businesses use rewards programs to increase staff productivity. These have varied workability, some work splendidly, others are not so effective. In this tip, you will be given a very simple way to increase the performance of the people who work for and with you. And as the title of the article indicates, it may possibly be the most powerful way to accomplish increases in staff output and effectiveness. Acknowledge them when they’ve done something right! 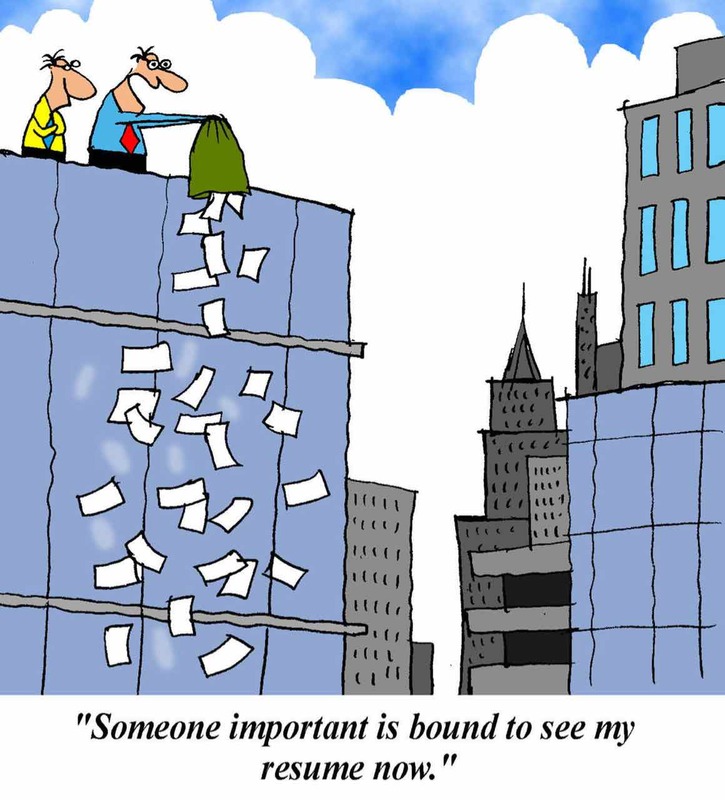 People work for all kinds of reasons. We know the obvious ones. A not-so-obvious reason is to be recognized in some way for what they do. Especially when they do something right. When somebody in your business does something right, LET THEM KNOW IT. Acknowledge them in some way. Alice would love to hear that she’s been handling the switchboard exceptionally well the last few days. Before you decide that this is too simple or that it just wouldn’t apply to your business, let’s look at an underlying principle at work here. People just simply appreciate acknowledgement or recognition. Don’t you? Do you not appreciate it when somebody sincerely acknowledges you for something you’ve done well? Every group (whether it is a family or an organization) is built upon the willingness of the individuals composing it. You significantly increase that willingness when you acknowledge and recognize people for what they do. This does not mean that you run around all day telling everyone you see how great and wonderful they are. We’re not talking about an airy-fairy or touchy-feely thing here. We are talking about a basic principle that is capable of increasing your staff’s willingness to produce and that willingness is actually your greatest capital. Should you present year-ending or quarter-ending awards to your staff at a lavish dinner engagement? Sure. Should you implement an incentive program that your staff agree with and will produce more to achieve? As long as it is viable for the business itself, absolutely. Wouldn’t these types of programs recognize your staff in an appropriate way? Most certainly. Those types of programs, however, are not the point of this article. The type of acknowledgement being discussed here is for the day-to-day running of things. When someone in your outfit does something well, say or do something that shows you appreciate that. Even if it’s a fast gesture or nod, it will communicate. Every effort you make on this will pay off. I realize that some of you may have a hard time acknowledging your staff or expressing appreciation. I understand that. If you’re not comfortable acknowledging when others do things well, my suggestion is to implement this principle in small steps. A little here, a little there. I’m not patronizing here – a gradual approach to this will help you accomplish something that could be very valuable to your business. Businesses perform much better when the people who make up the business are recognized on a day-to-day basis. They are more willing, more eager to do even the small things that are sometimes crucial to success. You can and should get your staff applying this principle with each other. It will have a ripple effect. “Alan, you handled that irate customer superbly. Thank you for rolling up your sleeves on that one.” Alan smiles and is more willing to roll up his sleeves the next time. That’s good. He’s got a good range of experience. But what did he PRODUCE while working in those positions. This is the statement of someone who didn’t just show up for work and accomplish very little. He knew that the product of an Office Manager had something to do with a smoothly running office that kept their patients happy and the practice profitable. That was the statement of someone who knows what it is to produce. They weren’t just busy. They weren’t just “working.” They were producing the vital products of the business. Next time you sit down with a prospective employee, ask them what they PRODUCED. This idea brings an advantage to both you and the applicant. You get to see him in action for an entire month. He gets to see what life is like in your company for an entire month. You can pay him full rates for the month or maybe a reduced pay. That’s up to you. But I’d be very straightforward with your candidate. You’ve spent too much time and money on new applicants that didn’t stay the course and you’d like to get started on a conditional basis and see how things go. The main thrust here is: the first month is conditional. You want to see how he performs in a variety of work situations. He gets the chance to see if this is for him. Should you put a conditional candidate right onto the post you need filled? Again, this is up to you. You could do this with a smaller set of duties. Or you could have him work in a position with less responsibilities. Either way, you’re going to get a pretty good idea of how he’s going to pan out. If you do decide to put him in the position you wanted to fill, you might consider investing only a portion of the training you would normally invest with someone you’re certain about hiring. 1) You’re happy with him. 2) He’s happy with you. You’ve read over his résumé. You’ve interviewed him twice. You like what you see but you’re still not sure. You don’t want to invest several weeks training only to find it didn’t work out. He could leave. You could fire him. One idea that has been found successful is to have him work for a full day. Or maybe even several days. Give him a fairly quick understanding of what’s needed and get him rolling. Now you’ll SEE with your own eyeballs how he responds to various work situations. You’ll see how he interacts with staff and with your customers. He’ll most likely be on his best behavior, but it should give you more of an idea of what he’ll look like in your workplace. Why should he work for you for a full day or even several days without assurances he has the job? Good question. Here’s another question: Why should you train him for several weeks AND pay him only to find it just didn’t work out? He could go back out and hit the streets looking for another job, or he could take that same time and work in your company and let you see some of his personal and professional skills. If he says yes to this proposition, that alone tells you something about his character. If he says no, well, that tells you something too. 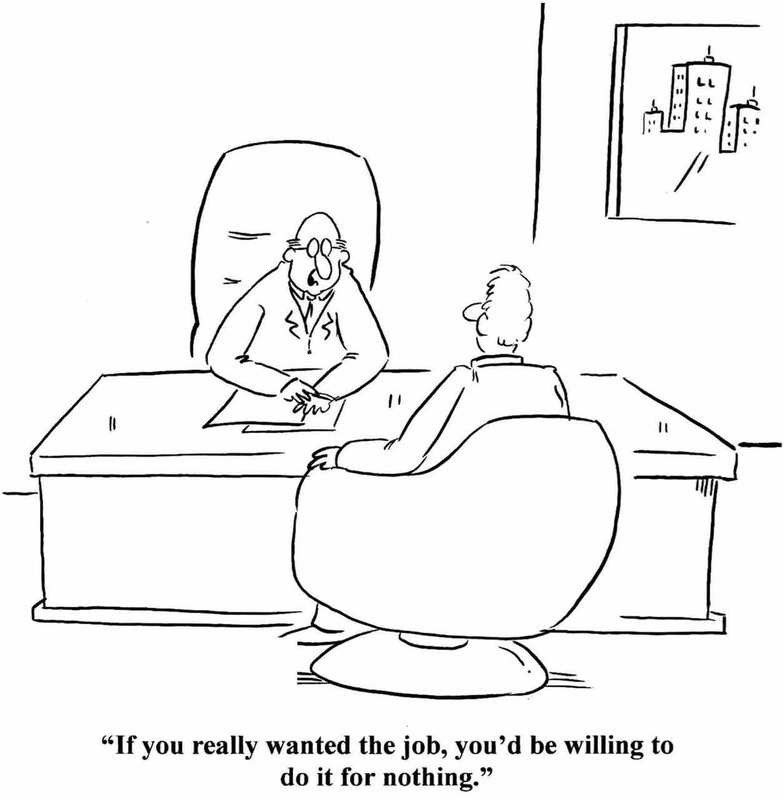 It tells you he may be of a mind that he “deserves the job” or that you should be the only one making the commitment. I’m not saying you should have some kind of “upper hand” in this process. But you are the EMPLOYER. It is your company. You’re going to invest in him. You’d like to have more reality on who this person is and will he mesh with your current staff. 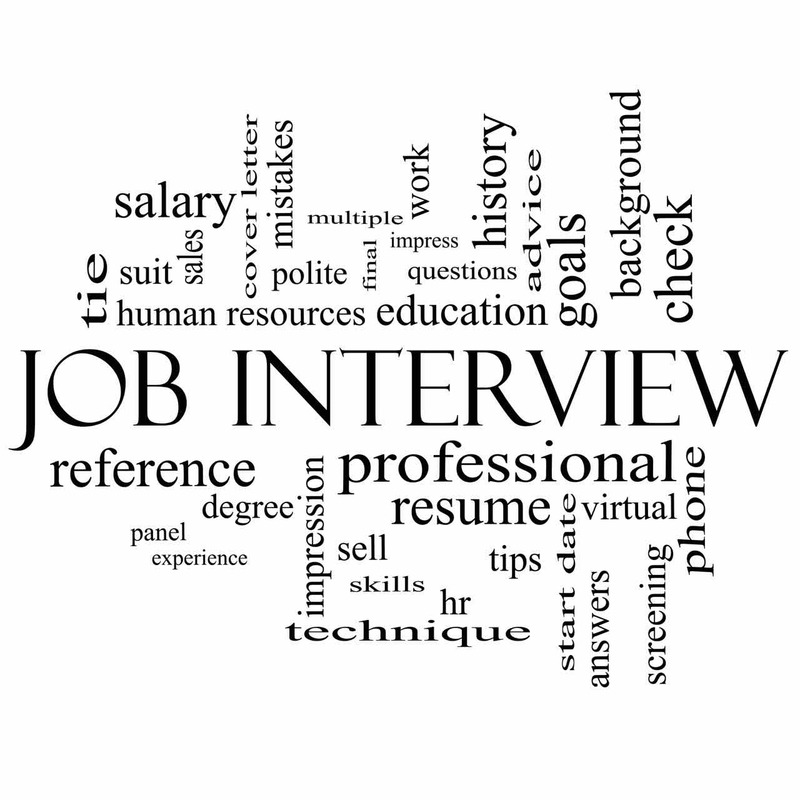 Every day, thousands of business owners interview people looking for a job. Some of these prospective staff look and sound great but a month or so down the road quit unexpectedly or compel the owner to fire them. A good percentage of these ex-employees didn’t have the skills (or desire) to do the job asked of them. But some of them were “bad apples” and should have been avoided at all costs. They are skilled complainers. They complain often about work conditions. They may complain about their pay. They may complain about customers who require more care and attention than the average customer. Complaining comes easy. They may use gestures to complain. For example: The boss issues an order and, after the boss turns his back, they frown while making sure everyone sees that they’re unhappy with the boss. They create upsets amongst the staff. They will tell Mary that Sarah did such-and-such wrong. Often they will then go tell Sarah that Mary doesn’t really know how to do her job. They are very good at causing employees to be upset with each other AND they are able to pull off this feat without others knowing they did so. The word “covert” may have been coined with this “bad apple” in mind. They find reasons NOT to get something done. This is an area of high creativity. When criticizing others, they are quick to tell you how important it is to be honest. They may have invented the phrase: “constructive criticism”. But there is nothing constructive about this person’s motives. He smiles while holding a very sharp knife behind his back. They are also very skilled in getting employees to think less of the boss. They will usually avoid those employees who absolutely love the boss. They’ll go after the employees who are not yet really happy about being a part of the team. The image that comes to mind here is a lion attacking the weakest members of the herd. 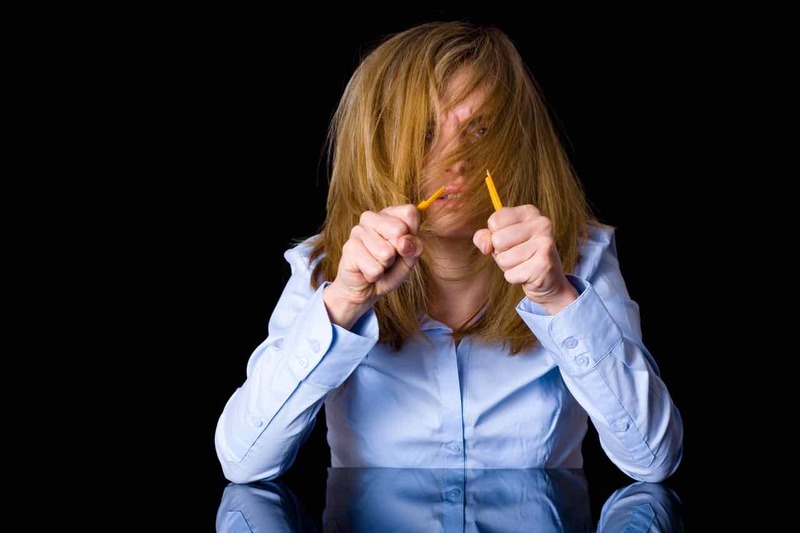 These “bad apples” can be quite skilled, yes, but if they can score a workplace upset quickly and easily, they’ll go for it. Courage is not one of their attributes. 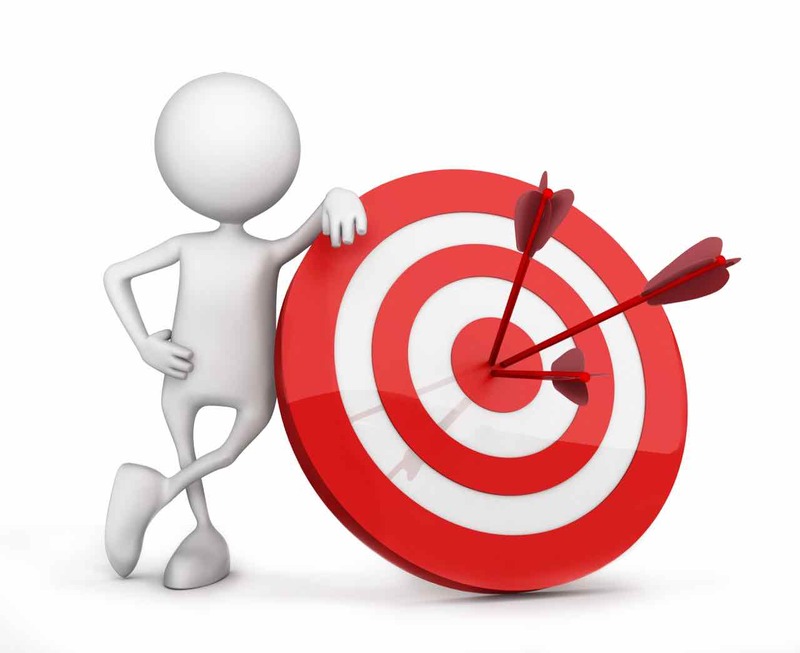 They will give you the impression they care about your business and that they are going the extra distance for you. They will appear happy when your business does well. Almost always, these are false impressions. They don’t really want others to succeed. A business with even just one “bad apple” can be at a real disadvantage. The skilled ones cause a variety of problems, some of them obvious, some of them hidden. But the end result is always the same: lost revenue and a workplace that is increasingly unpleasant to be in. So, how do you make sure you don’t hire a bad apple? 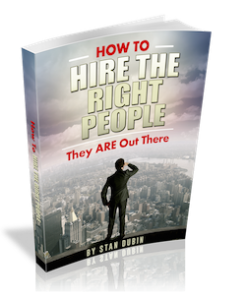 My best advice is to find out more about the people you hire BEFORE you hire them. Go to HireBetterStaff.com and watch a 3-minute video that explains how testing people first can make a huge difference in the quality of your staff. Below the video is a link to a free test being offered to business owners. There are NO strings attached to this offer. You take the test for free. If you’re impressed, we’ll tell you more about our testing service. Hiring and the Law – What Questions Can You Ask? We’re pleased to introduce a new feature to our readers. Devora L. Lindeman, Esq., Partner at Greenwald Doherty LLP, will be providing us with insight and information regarding the hiring process. Ms. Lindeman is a management-side employment lawyer and has exclusively represented managers and companies in federal and state agencies and courts with regard to their labor and employment needs for many years. Question: Why can’t I ask certain questions in a hiring interview if I want to know all I can about my prospective employee? Answer: Of course employers want to ask many questions, and use other evaluation tools, to find out all they can about their prospective employees. Having sufficient information enables employers to make sound hiring choices. However, employers are legally obligated to make hiring decisions based on business reasons: work history, education, experience, work-related skills, special training, etc. In those areas—ask away. Gather as much information as you need about your candidate’s experience and job history. A problem arises when interview questions ask about, or infringe upon, an applicant’s “protected characteristics.” Questions that ask about these characteristics, which are covered by the non-discrimination laws, should not be asked. On a national level, these categories include: age, race, color, gender, religion, national origin, disability, pregnancy, citizenship, and genetic information. States, however (and even some localities) protect broader categories, for example, sexual orientation, arrest record, familial status, political affiliations, etc. Know the categories that apply to your area. Without regard to the categories that apply, however, it is good business practice to base your hiring decisions on business-related reasons. The reason I generally recommend to our clients that they not ask questions related to any protected category, even if they do not plan to use that information in the hiring process, is for the client’s protection. In theory, if the business does not know, for example, the applicant’s national origin, it cannot discriminate on that basis. If an applicant claims he or she was not hired because of a particular category, but the people making the hiring decisions did not know that the employee fell into that category, that creates a hurdle for the applicant to overcome in a litigation. The applicant will need to prove that the company knew. Additionally, interviewers who ask even apparently innocent interview questions can run afoul of the non-discrimination laws and get the business involved in an unnecessary lawsuit. Here’s an example: An Hispanic interviewer asks an applicant with an Hispanic surname what country her family comes from, perhaps, looking for something in common. However, national origin and ancestry are protected categories that cannot play a part in hiring decisions. If this applicant does not get hired, she could claim it was because of her national origin, based only on the fact that the interviewer asked. That doesn’t mean that such a claim would be successful, but likely the company would rather not spend the time and money defending against such a suit. For that reason, it is best not to ask about these areas. If it is not business related, and deals with a protected category, don’t ask it. In some states, asking questions that address these “protected categories” is illegal. In others, it is merely ill advised. Rule of thumb? Keep interview questions focused on business related issues to determine whether this particular applicant is qualified to do the job.